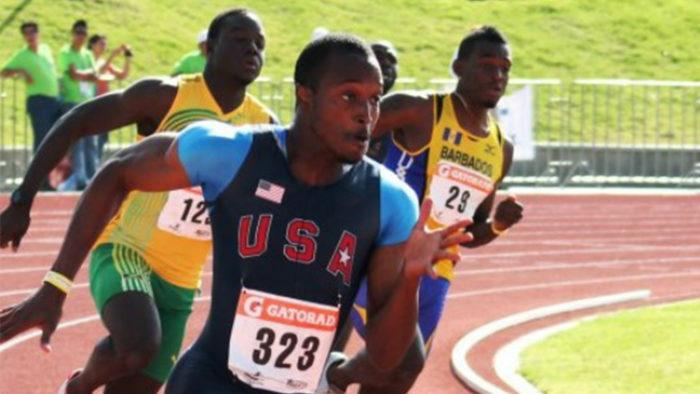 This weekend, the best high school track and field athletes from around the nation will gather at Aggie Stadium in Greensboro, North Carolina to compete for the title of All American. Big meets like New Balance Nationals Outdoor mean big expectations, and to come out on top, athletes need to be prepared both mentally and physically. So, we asked former pro sprinter Keith Ricks how he kept his cool when big wins and PRs were on the line. Eastbay: Did you have any superstitions or rituals for competition day? Keith: When I was in high school, I would watch guys in the Olympics do their pre-race shakeouts right before they get into the blocks. I noticed that Tyson Gay raised both arms right before he gets down in the blocks, and I thought it looked cool. So I started doing it before my races when I was just starting to run track in school. It became a habit, and I continued to do this throughout my career. Fast forward six years later and I was racing beside Tyson Gay at the USA Outdoor Nationals doing the same pre-race shake out as he was ‑ that was an awesome race for me! Eastbay: What’s one piece of advice you have for the athletes preparing for New Balance Nationals? Keith: By the time you reach New Balance Outdoor Nationals, all of the hard work has been done! You’ve trained hard all year and hopefully got the results you were looking for during the season. Championships are a time to show out! Show all of the hard work you put in all year and punish the competition. Prove you are fast enough to not only compete but win against the very best! Eastbay: When you’re competing at an elite level, how important are mental preparation and focus? Keith: Mental preparation is essential. I would mentally prepare for every race the same way to stay consistent. I would visualize myself winning and running the best race of my life. I would do this for every meet from ones as important as New Balance Outdoor Nationals to the small district meet in high school on a Wednesday. Eastbay: What are some physical recovery tips athletes should remember for after a meet? Keith: After the meet, it’s important to cool down and recover effectively. Most runners hate ice baths but they are a life saver! It feels like it takes years (even though it’s really only 15 minutes) to adapt to the freezing cold ice, but your body will thank you later! A protein-rich, post-race dinner can also be beneficial. My favorite meal to eat after a race was grilled fish or chicken with rice and vegetables on the side. 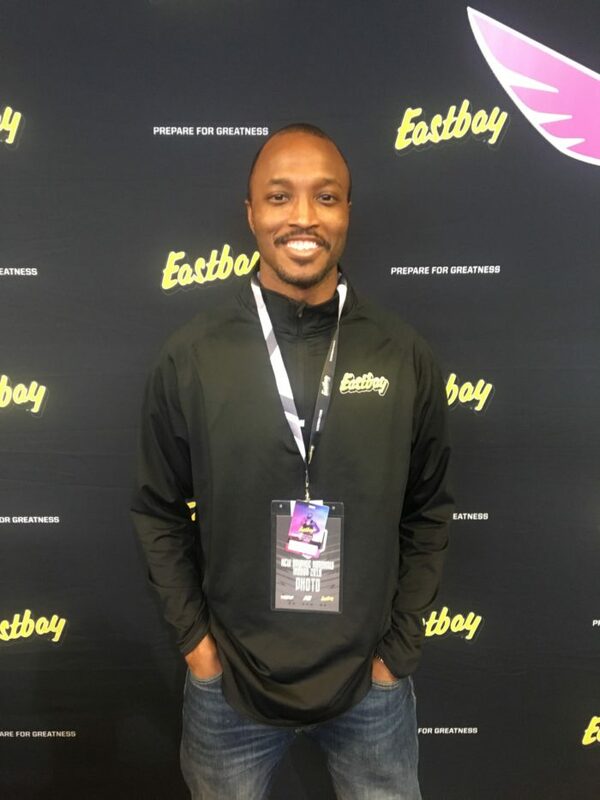 Eastbay: What’s the most important thing you learned/your biggest takeaway from your competitive career? Keith: The biggest takeaway that I had for my track career is learning how to set and accomplish goals. You can’t be afraid to set big goals and give it everything you’ve got. Early in my high school career, I set a goal to gain a scholarship. I had some natural ability, but I knew if I worked harder I could be one of the best in the state. I ended up being one of the best in the nation and accomplished my goal by receiving a full scholarship to Virginia Tech. From there, I just kept raising the bar. Each goal would build off of each other and I found that I could apply this to my academics, career, and anything else in my life. Eastbay: Sometimes, meets don’t go your way. What’s one piece of advice you can give athletes for dealing with a tough race or competition? Keith: When there is a tough race or a setback that happens, you have to stick to the plan and stay focused on you bigger goal. Stay confident and tell yourself, “If not this year, then next year I’ll come back even stronger. If not this race, I will win the next race.” Believe in your training and know that you’re still on the right track and that your best races are ahead of you. Eastbay: If you could go back to high school and give yourself one piece of advice, what would it be? Keith: My piece of advice would be to run the 400m. I was always told to give the 400m a shot, but to a 100m runner that was a tough sell! Looking back, I would tell myself to be comfortable with trying something outside of my comfort zone. I ran several 400s in high school and was apart of a national champion 4×4 relay team. It was an event that was always in my back pocket, but I never felt the need to attack all three events (100, 200, 400) seriously. As I grew up, I started to see the benefits of stepping outside that comfort zone and, that has led me to great success. **You could win up to $500 of gift cards just by entering our new Eastbay Summer Heatstakes. Sign up now for your chance to win big.